Minister Henry said the negotiations are expected to conclude by April 24, following meetings with the developers and the various stakeholder Ministries. The proposed rates for drivers of Class One vehicles are: $1,220 to travel the full length of the highway from Caymanas in St. Catherine to Mammee Bay in St. Ann; Class Two, $2,450; Class Three, $3,700 and Class Four (motorbikes), $600. For the Linstead to Caymanas route, the proposed rates are: Class One, $500; Class Two, $1,000; Class Three, $1,500; and Class Four, $250. Minister of Transport and Mining, Hon. Mike Henry, said negotiations are ongoing for a reduction in the toll rates for the North-South leg of Highway 2000. 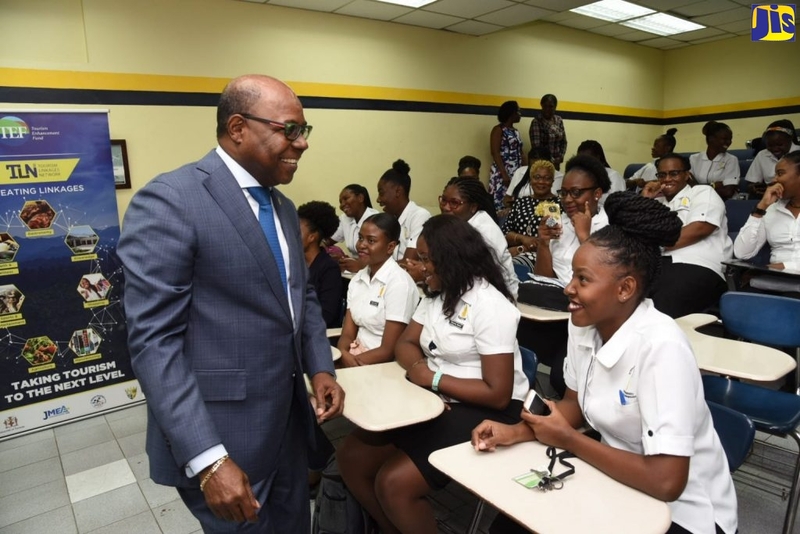 Speaking at a press briefing on Thursday (May 7), at the Office of the Prime Minister, Minister Henry informed that Cabinet has met for discussions on the issue and the Government will be seeking the recommendations of the private sector. “The Cabinet is now fully aware of the steps we have to take and I have been charged to ensure that these steps are followed up by consultations between the Ministers of Growth (and Job Creation) and myself,” he said. The North-South Highway, which extends from the Mandela Highway near Caymanas in St. Catherine to Mammee Bay, St. Ann, is a 67-kilometre stretch that was constructed at a cost of US$600 million over the past three years. At the opening of the highway on March 23, Prime Minister, the Most Hon. Andrew Holness, announced that the Government had negotiated a temporary discount of 25 per cent on the proposed toll rates with contractors China Harbour Engineering Company Limited (CHEC).